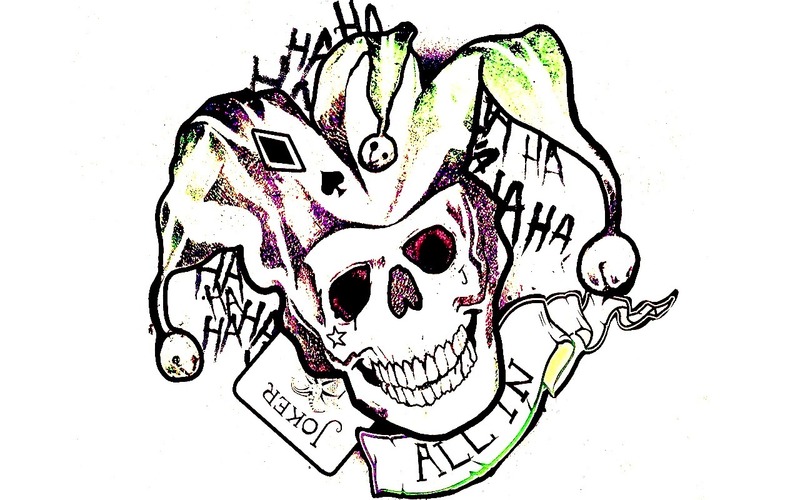 조커. . HD Wallpaper and background images in the Suicide Squad club tagged: photo suicide squad 2016 movie film the joker joker tattoo harley's tattoo parlor promotional poster wallpaper desktop. This Suicide Squad wallpaper contains 붉은 양배추. There might also be 애니메이션, 만화, and 만화책.